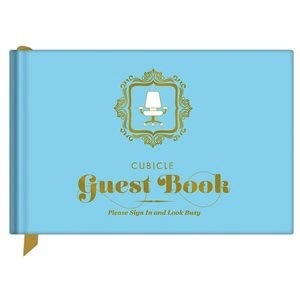 Ordinary guest books too often lack humor and verve—so Knock Knock invented their own. This elegant yet daringly interactive book invites candid expression in the office with provocative prompts, doodle space, and a wry grading system. Because even though the fun must end, the memories should linger. Great gift for work colleagues!